This trip begins in Nairobi and travels through Kenya, Uganda finishing back in Nairobi, Kenya. In order to view the Gorillas we may do so in one of the countries bordering Uganda, ie. Rwanda or The Democratic Republic of Cgorillaongo. Please be advised that a pre-departure meeting is held at our departure hotel at 5.00pm the night before your departure, where you will meet your trip leader who will brief you on the finer details of your safari. Please note that this trip departs Nairobi on Sunday morning. Should you wish to spend some time there an earlier arrival time should be planned and additional accommodation booked. Please be at the Boulevard Hotel, Harry Thuku Rd, Nairobi, at 8.45am for a departure at 9.30am. We depart Nairobi driving through the lush farmlands of Kenya and into the Great Rift Valley to Lake Nakuru National Park, famous for the thousands of flamingo that inhabits the Lake’s edge. The numbers vary depending on the level of the lake, and are more numerous when the water level is low. The Park has also been established as a sanctuary for black and white rhino, which are frequently seen in the Park, along with buffalo, giraffe, waterbuck, various antelope, leopard and the occasional hippo. Following an afternoon gamedrive, we overnight at one of the campsites within the Park. After a morning game drive, we head westwards towards Uganda and camp overnight amongst the tea plantations of Kericho. Situated in the western highlands, this is the heart of Kenya’s tea plantation area and the climate is perfect for the growing of this particular crop. Alternatively, and if time permits, we may drive a little further and use a campsite on the shores of Lake Victoria at Kisumu, Kenya’s third largest town. Today, we cross the border into Uganda and travel via the lakeside town of Jinja (the Source of the Nile) before reaching Kampala, Uganda’s capital, for an overnight stay. Uganda is a small country of striking physical beauty. Its landscapes vary from the fertile green areas around the northern shores of Lake Victoria to the snow-covered Ruwenzori Mountains in the west and the semi-desert parts of the north facing the border of Sudan. The political instability that haunted Uganda over a period of years has had the positive effect of leaving the country free of the over-commercialism so common in other parts of Africa. The current administration under President Museveni has devoted considerable effort and funds to regain Uganda’s former glory as one of Africa’s most prosperous and, from a tourists point of view, one of the most appealing and interesting countries to visit. After an early morning departure from Kampala we drive to Fort Portal and continue southwards towards Kibale Forest Primate Reserve, one of the largest primate areas in Africa. It is particularly noted for the large chimpanzee population that inhabits the forest. We usually spend at least two nights camping near the Reserve in order to undertake the bush walks with the prospect of viewing the chimps. Note: Although the chimps are frequently seen, viewing is not guaranteed. After breakfast we explore the Kibale Forest Primate Reserve with its populations of chimpanzees and other primates. There is also the opportunity to undertake other bush walks during the day, and there is even a guided walk at night for those with the energy. We overnight either in the Park or nearby at Crater Lake. We leave the Fort Portal region and make our way to Queen Elizabeth National Park to enjoy game drives and a boat cruise on the Kazinga Channel. The channel runs between Lakes Edward and George, and is famous for the large herds of hippo that frequent the waterway. The boat cruise is a great way to view these animals at close range. Overnight Queen Elizabeth National Park. We leave Queen Elizabeth National Park and drive through the breathtaking scenery of western Uganda to make our camp on the shores of Lake Bunyoni. This area is often referred to as “the Switzerland of Africa” due to the terraced hills, forests and lakes. From our Lake Bunyoni base, depending on where the gorilla permits are available, and where the gorillas are located, we will be viewing them in either the Mgahinga or Bwindi National Parks in Uganda, the Virunga National Park in the DRC or at Ruhengeri in Rwanda. Due to the nature of the gorillas and their habits, viewing cannot be guaranteed. The gorillas themselves can tend to move around the locality quite a distance and the trek can be quite arduous. The cost to trek the gorillas differs from park and, per 1-hour viewing. There is usually a park entry fee as well of approx us$15. Please note that Worldwide Adventure is not in control of the price of gorilla permits and therefore cannot be held responsible for any increases in fees levied by the relevant authorities. 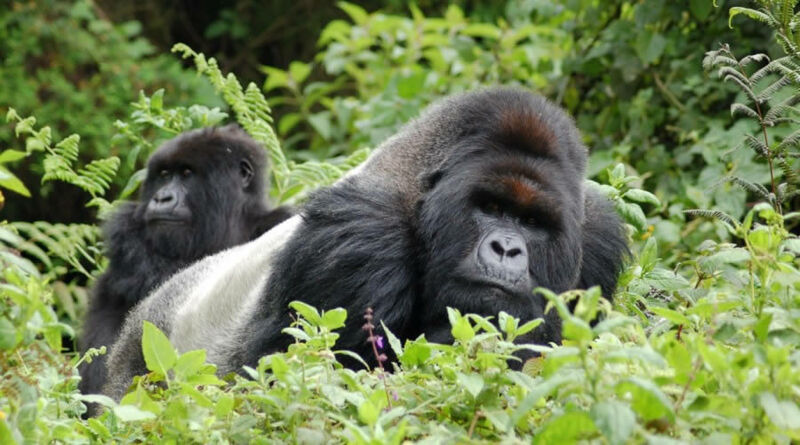 National parks usually allow clients who fail to see the gorillas, a second chance to re-trek the next day if time and availability allows or they may refund your trekking fee. This is purely at their discretion. Although this is the general situation, the respective National Parks authorities will not put this in writing to any tour operator. Again the respective park authorities say that you are paying to trek the gorillas, not view them. 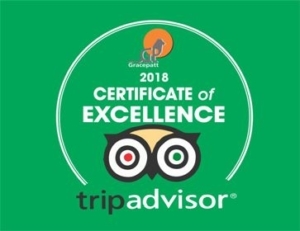 Worldwide Adventure is considered to be the main tour operator within the overland industry and we have a very high success rate of getting in and actually seeing these magnificent animals. Note: this is an optional excursion and visas to the DRC and Rwanda can be obtained at the border. The mountain gorilla (Gorilla Gorilla Berengei) of whom only about 600 still exist, is one of our closest living relatives, yet ironically, it is mankind that poses the greatest threat to its survival. To visit these noble creatures in there own environment is an experience you will never forget. Accompanied by a park guide and a bush cutter, we track these gorillas through the rain forest. The gorilla families have been habituated to tourists and their whereabouts are monitored daily by the guides and park officials. It may be necessary to trek for quite a while through the dense forest vegetation (up to 5 hrs) in order to reach the family designated for your visit. As gorillas are sensitive to human diseases, the park authorities will not allow anyone they consider to be in poor health to visit the gorilla groups and children under 15 years of age are not allowed to visit. You need not feel that you are exploiting these animals – for years they have been ruthlessly hunted for their hands and heads, which have been sold as souvenir ashtrays and lampshades. In addition, large numbers have been killed whilst trying to stop poachers stealing babies for sale to zoos, where they have never lived long. As a result, the ever-growing number of tourists to see them is an important factor in their survival. The gorilla fees help to set up and finance patrols that are instrumental in protecting the gorillas from poachers and their lethal snares. It is also important to note that, although the groups have been habituated, they have not been tamed and their behaviour is not demonstrably different from that of the non-habituated groups. Nobody forces them to stay with us for the allotted hour, and they can fade into the forest as you appear, if they wish to do so. After enjoying the peaceful surrounds of Lake Bunyonyi we drive to Kampala for another overnight stay, and perhaps the chance to sample the nightlife. Alternatively, and if time permits, we can continue past Kampala to Jinja where you can enjoy some of the best whitewater rafting in Africa. (This is an optional excursion). After breakfast, we drive south to Lake Naivasha where we make camp in peaceful surroundings beside the lake. The afternoon is spent at leisure here and you have the opportunity (time permitting) to enjoy some optional excursions, such as a boat ride to the Crescent Island Game Sanctuary, Hell’s Gate National Park or Elsamere, the retirement home of Joy Adamson (“Born Free”). After breakfast, we leave Naivasha and return to Nairobi, arriving in the early afternoon. The truck will stop at the Boulevard Hotel for those staying there, and then continue to our campsite to finish the trip. Please note: this itinerary should be used as a guide only and may vary from day to day depending on road conditions, weather, political situations, and group decisions.